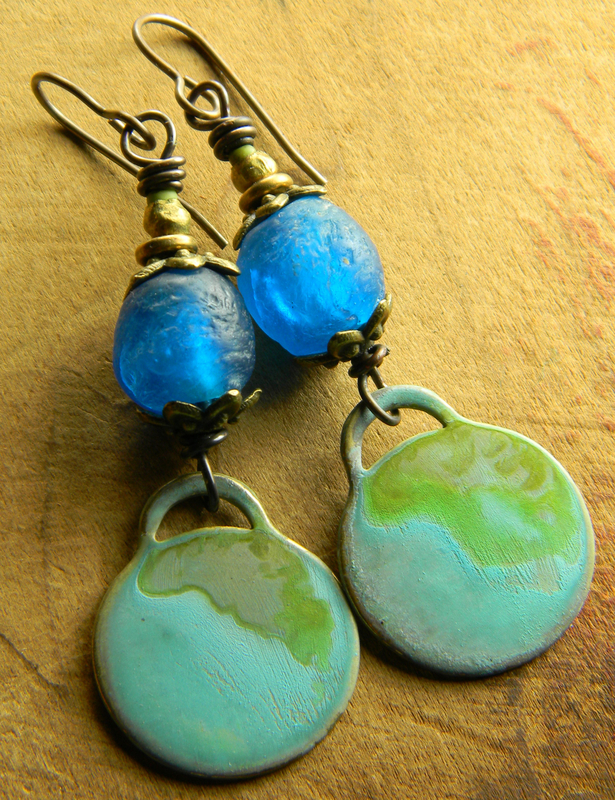 Striking blue African recycled glass beads, transluscent with a slightly bumpy surface, with beautifully contrasting pale green patina brass drops in this tribal earring design. The glass beads are handmade in Ghana using the same method for 100 years, and the color is amazing! 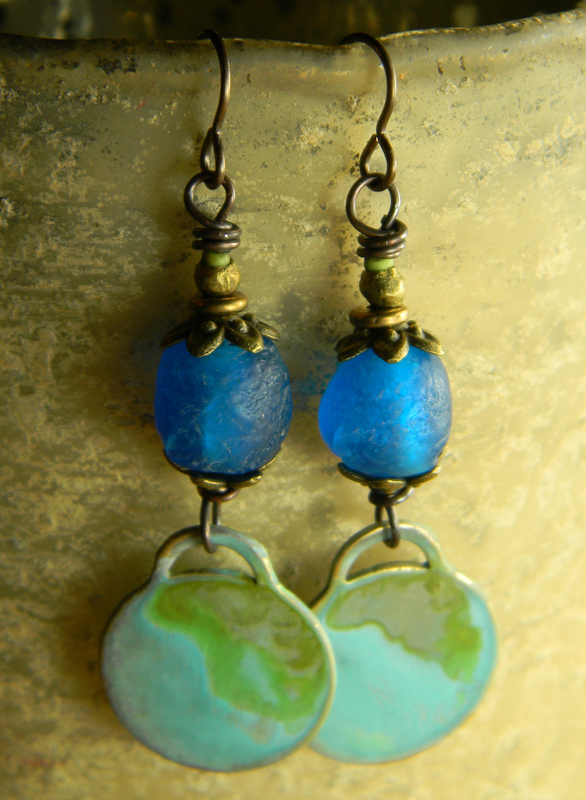 The brilliant blue beads are accented with brass bead caps and brass spacer beads that are made by hand in Ethiopia. 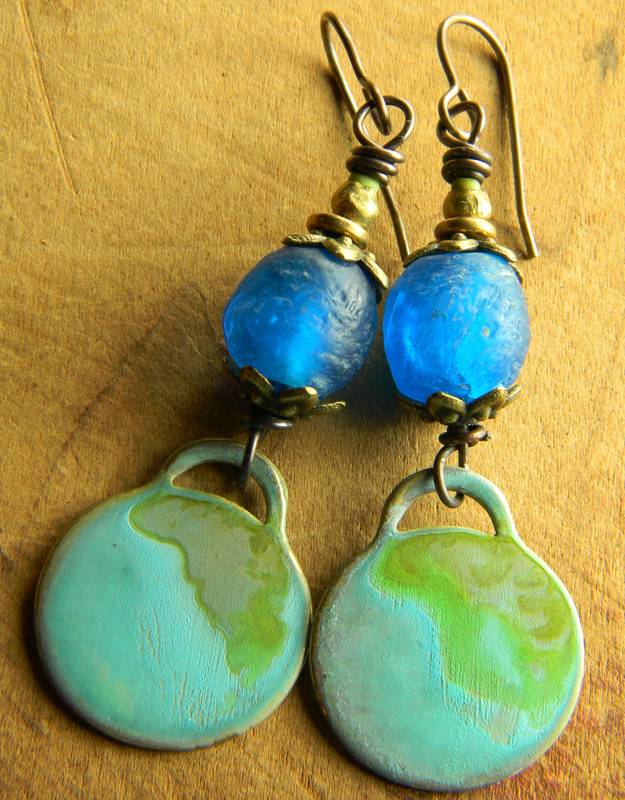 I have added hypoallergenic antiqued brass niobium ear wires to finish the earrings for a total length of 2.5 inches. The width of the drops is 7/8 inch, and their weight is moderate to heavy but I would say very reasonable for their size. Your package will arrive beautifully gift wrapped in rustic and environmentally friendly materials. All my jewelry is 100% workmanship guaranteed. Any issues with construction or component failure within one year (under normal wear conditions) of the purchase date will be corrected at no charge to you. Please contact me if you have an issue with a purchase. I do not accept returns unless you have received a return merchandise authorization.